…brought to you by the letter, ‘I’. 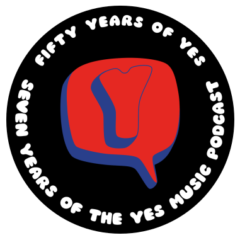 The seventy-fourth episode of the Yes Music Podcast featuring the Yes Alphabet – ‘I’. Listen and see if you all your letter, ‘I’ selections are there, then let me know by contacting me via any of the different routes on the right hand side or by leaving a comment below! Which Yes tracks begin with ‘I’? Is improvisation an important factor in Yes music? Upload your photograph (with your name in the title) via the page here. Let me know what you have uploaded and why via the contact form here or by leaving a voicemail on the telephone number on the right or via the green ‘Record a message’ button. Thanks so much for getting involved!! Get Lobate Scarp’s new CD! No problems! Thanks for listening!! Another great alphabet episode… how will you manage when you get to letter S – my itunes library shows a grand total of 24 Yes songs that start with the letter S , it may have to be two episodes. PS Looking forward to forthcoming interview episodes. PPS I know I keep sending links to other Yes personnel interviews – don’t want you to miss anything. Thanks Paul!! 24 letter ‘S’. Mmmm that will indeed be a challenge. Fortunately I should have a long time to consider it! I’m really pleased with the interviews – both were great but of course speaking to someone who played live with Yes was a particularly exciting time for me. I do appreciate you sending all the interviews – please continue. One of the benefits of following a band wit such a long history is the sheer number of interviews out there and also the number of media outlets who still what to interview band members! Keep listening – it’s great to have you along for the ride!